You’re probably here because you received a “Just Because” card from a stranger. Maybe they paid for your groceries at the check-out, picked up your tab at a drive-thru, or did something else completely random and unexpected. 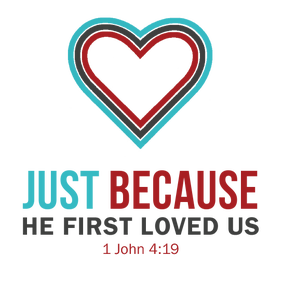 We know that a selfless gesture can make a big impact and that’s exactly what “Just Because” is all about. I John 4:19 says, “We love Him because He first loved us.” Christ’s love is our motivation. We’d love for you to come check out what Calvary Baptist Church in Red Bank is all about at our worship services on Sunday at 10am & 6pm or Bible study on Wednesday at 7pm. For more information about our weekly schedule, location, and more, check out the Plan a Visit page. If you received a “Just Because” card, we want to hear your story! Click here to share it with us. If you gave someone a “Just Because” card and want to share your experience, click here.